We know that modern devices employ plenty of means to deliver messages, other than the traditional Short Message Service. 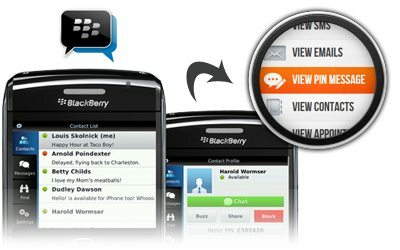 For Blackberry users, it’s the PIN messages route – a route TheOneSpy has got covered. Installing our software on any Blackberry allows you to read the target device’s PIN messages inbox and outbox, thoroughly, which is what makes us the best choice to spy on BlackBerry devices.